In February I have attended Conrunner 4. 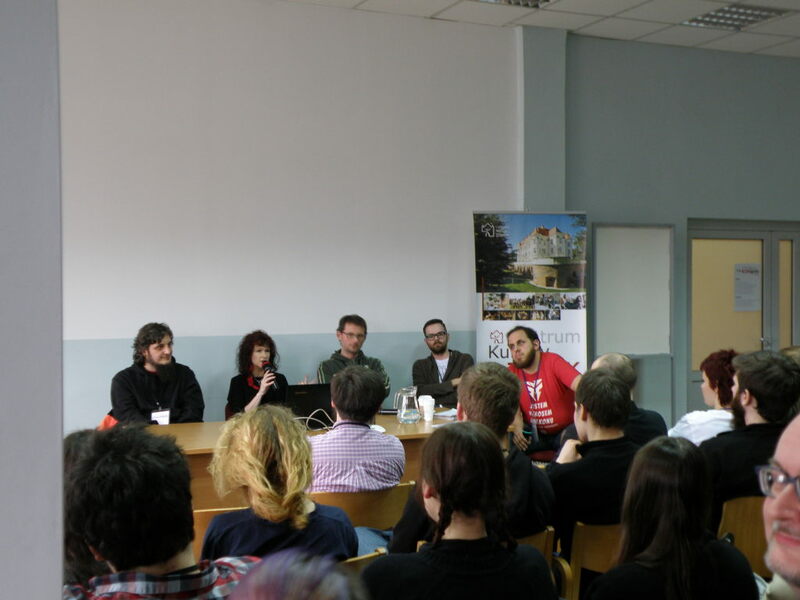 My first convention in March was KONgres – the first ever Polish convention created for conrunners. Comparing those two events is simply inevitable. 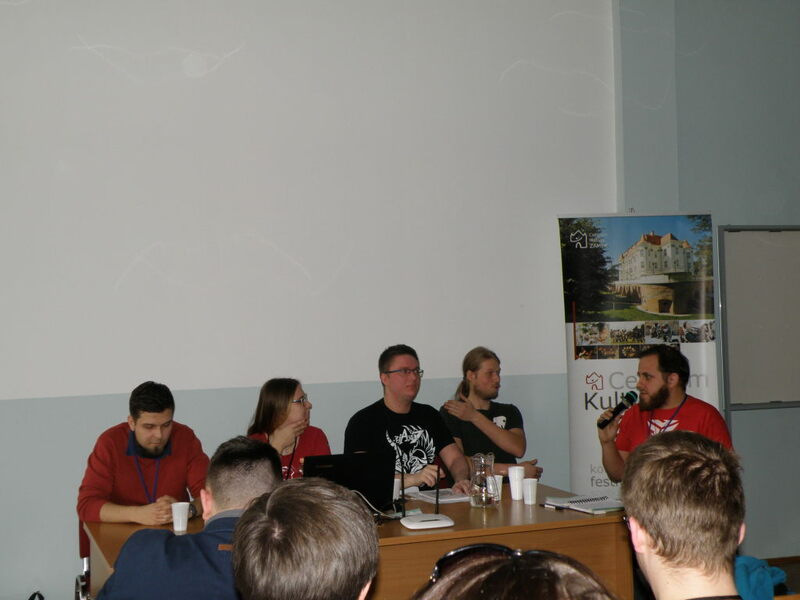 Still my perception of KONgres is deeper than of Conrunner – I am deeply involved with Polish fandom and hence I knew much more people there and I was more involved in the programme. 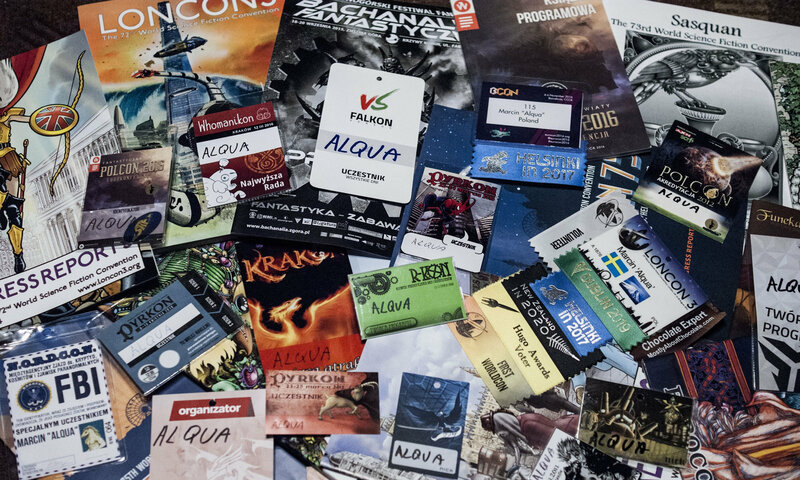 It was not a long time ago that the idea for a convention for conrunners appeared in Poland. In fact it was sometime at the end of 2016. As we already had a series of workshops/trainings dedicated to running fan events, work on the convention went rather smoothly (at least that’s how it looked from the outside). It was agreed that first ever KONgres will take place in Wrocław between March 11 and 12. The name was chosen in a poll on FB (in the group created primarily for previous workshops). 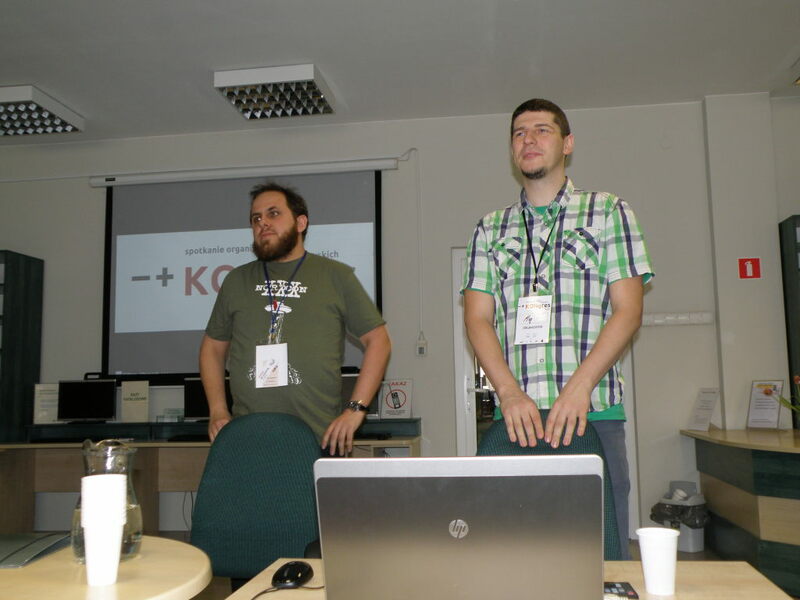 When convention was being prepared another idea came to Toudi’s mind(he started the workshops for conrunners in Kraków). He decided it would be cool to have a publication about conrunning prepared for KONgres. We have selected the name for it – KONcepcje (CONceptions). I had a pleasure to work on this one and I do hope that next year we will have another volume prepared. Organizers were quite surprised by the popularity of their event. Initially they were expecting 40-60 people but after registration has started it was obvious that they may expect above 100 conrunners from every corner of the country. During convention itself there was a map with pins to allow members to show from where they came from. Almost all parts of Poland were covered which I believe is a very good sign. Around a month before the convention its programme was announced. Apart from lectures and panel discussions it contained some short workshops. For the latter it was required to sign up prior to the event (and number of places was limited) and due to multiple reasons I didn’t so I was only participating in lectures and panel discussions. For majority of my time spent in Wrocław I was attending some programme items. I was in the audience but I also had a chance to moderate two panel discussions, take part in another panel discussion and give a presentation about conrunning solutions used outside of Poland. If I would have to compare the programme to Conrunner 4 I do believe that the Nottingham convention was rather better. I may not be fair here. In Nottingham I have met with multiple new ideas. Since I’ve been running conventions in Poland for many years a lot of things were already known to me. Another issue was panel moderation. Not all moderators at KONgres were able to lead panel discussion properly and the audience that really wanted to participate in discussions was also not helpful (though I too made some mistakes when I was moderating discussions). Still it is worth to keep in mind that the convention was very important and succesful. Even if the panel discussions were not moderated as they should, they have brought some value. Audience also shown that as a community of conrunners we really need a place for discussion. This was extremely visible during panel discussion about Polcon (Polish national convention). This discussion was very emotional and people even started to argue – this is of course not good but at the same time it underlined that a place/platform for such discussions is really needed so I do hope we will get a chance for a long conversation about this particular con in the future. I must admit I have not done a lot of networking during KONgres and this is totally my fault. Of course I did get some contacts during the breaks but I have skipped the evening party (getting up very early is not so good). I know that a lot of contacts where gathered there and I know people were ”recruiting” for their initiatives. My friends came out of the party with tons of new contacts and ideas. I must remember that next year I need to be more active in this field. Next KONgres will also take place in Wrocław next year. It was decided that afterwards it will start to travel among different cities. I know that a few are interested in hosting KONgres so I hope we will get a fresh look at the idea every year. It was also decided (even if not formally) that for the next edition a new volume of KONcepcje should come out (probably the name will be changed every year but it will still be a nice publication). This year it was clearly visible that we as a community need a platform for thoughts and ideas sharing. I can hope that next year KONgres will be as popular as it was in March 2017. I also hope it will be one day longer and that it will develop to suit our needs. In general I enjoyed Conrunner 4 more than KONgres but I really, really think that the latter has a great potential. It will take us (and by us I mean conrunning community in Poland) time to develop it fully but I do believe it will happen. I have also mentioned that this con was really needed and I want to underline it. It was a great idea and even if it wasn’t perfect it was a good beginning. I am already looking forward for the next edition and I am sure I will do a lot to be able to participate in it. 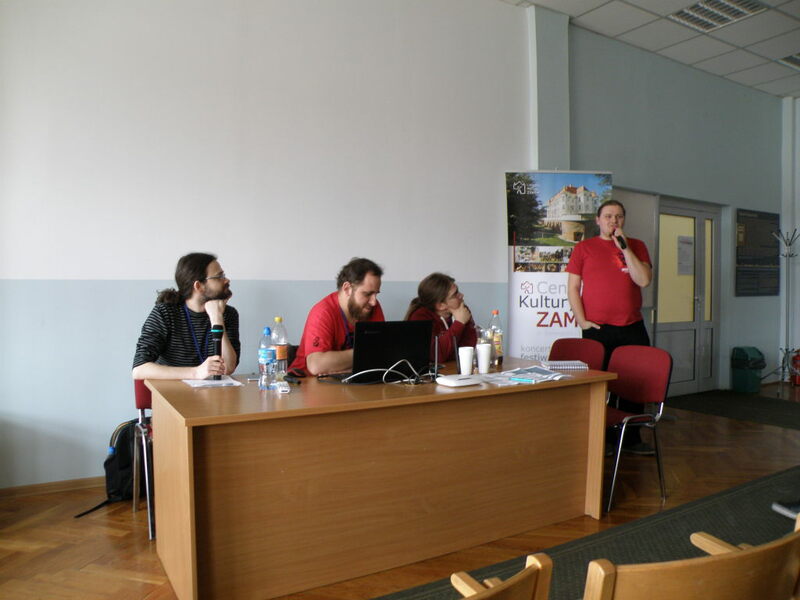 The next post will be about Lajconik – Polish RPG convention and will be published on 17th April.